Seen and done everything there is to see and do in Pretoria and need to take a break from the capital city to explore the surrounding area? From museums and historical sites to amusement parks, here are some great ideas for day trips in the region that people with all interests will enjoy. Johannesburg is just a quick 30-minute drive away from Pretoria and the City of Gold is jam-packed with things to see and do. Museum lovers can learn about South Africa’s difficult past with a visit to the Apartheid Museum. Alternatively, sit back, forget about the traffic, and gape at some of the amazing architecture of the city center while on the red Hop-On, Hop-Off bus that gives riders a tour of all of the city’s main attractions. Take the kids to Gold Reef City, an amusement park based on the theme of an old gold mine. 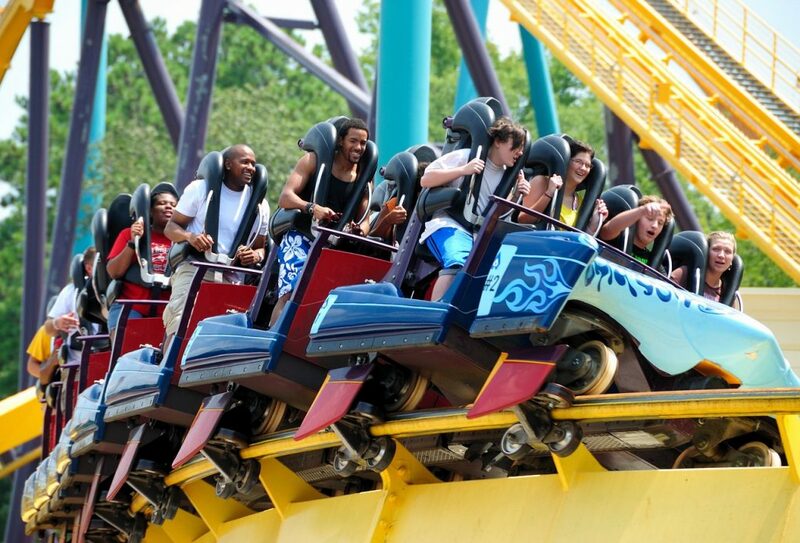 The park boasts an array of rides suitable for young and old, most notably the Anaconda, the Tower of Terror, and the Log Ride. There is also a 4D interactive motion movie experience that will thrill and delight as well as a trampoline park for those who need to rid themselves of some excess energy. The mine museum with its underground tour completes the experience. While the kids are entertained in the park, adults may want to slip over to the casino to try their luck at one of the 1,700 slot machines or 50 gaming tables. The small mining town of Cullinan lies 40 minutes east of Pretoria. Drive there or make the experience memorable by taking a trip on a steam train with Friends of the Rail. After arriving, take to the streets and explore this quirky little Victorian town and its curious shops on foot, stopping for souvenirs, coffee, and cake. 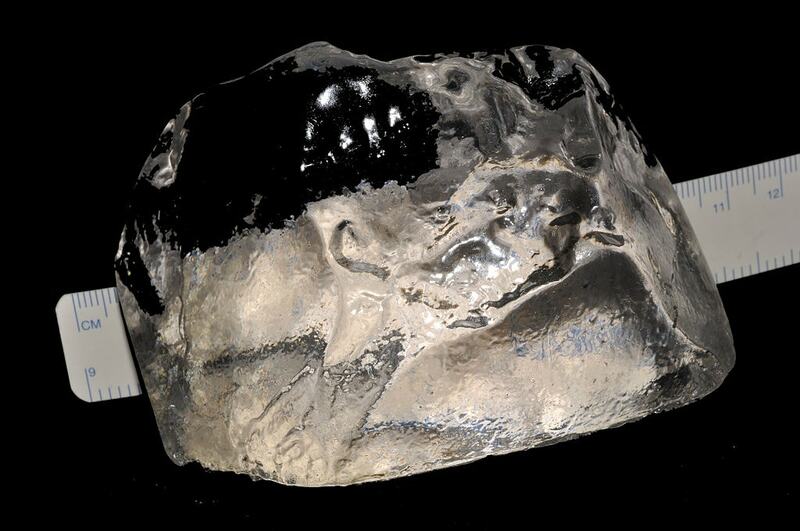 For something truly unique, take a tour of the diamond mine and see where the world’s largest diamonds were found, the Stars of Africa, both part of the Crown Jewels of the United Kingdom. 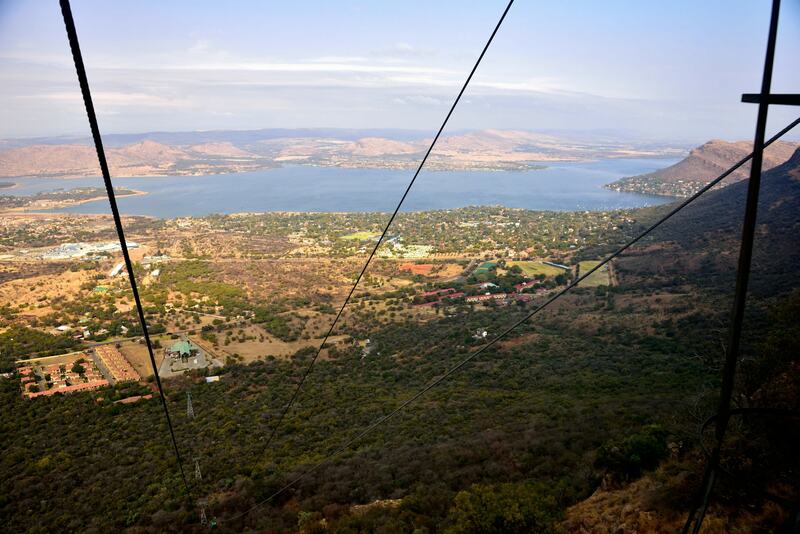 Affectionately known as ‘Harties’, the nearby town of Hartbeespoort is a wonderful day out for the whole family. Situated about an hour’s drive east of Pretoria on the banks of the Hartbeespoort Dam, it’s a good place for those looking for traditional handcrafted African souvenirs to go. There is an enormous craft market at Chameleon Village with anything from wood carvings to colourful tablecloths, so practice bartering skills beforehand. Adrenalin junkies can take the cableway up the mountain for a glorious view over the dam and those even more adventurous might consider taking a hot air balloon ride. Those who want to keep their feet firmly on the ground, visit the Elephant Sanctuary, the Owl Rescue Center, or the Hartbeespoort Dam Aquarium. Missing the roar of the ocean in the heart of the Highveld? Jump in the car as the sun rises arrive at Sun City two hours later. 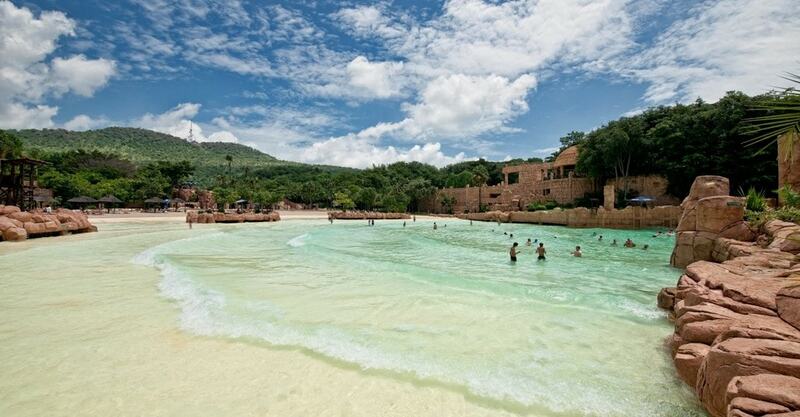 The Valley of Waves water park is the perfect place to sun worship and get a few waves in. There are family-friendly activities that cater for all ages, including the Lazy River tube ride, the Temple of Courage, and the Roaring Lagoon. Visitors can explore the lush gardens in the park and even catch a glimpse of the exotic Palace of the Lost City hotel and its famous elephant statue. Those in need of a respite from the heat can head inside where they also have a casino, an entertainment center, and places to grab a bite to eat indoors. 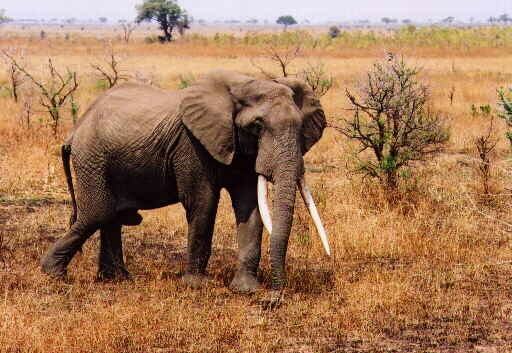 One of the top national parks of South Africa, Pilanesberg is just a quick two-hour drive from Pretoria. The park is in a malaria-free zone, perfect for families with young children who’d like to do some Big Five game viewing. The relatively small size of the reserve makes it possible to drive through most of the park in one day and spot favorite animals while on a self-drive safari or an official park game drive. Those looking for something different, the park also facilitates walking safaris or hot air balloon rides. Drive just over an hour to step back millions of years in time. The Cradle of Humankind is the area where paleontologists discovered Mrs. Ples. The most complete skull ever found of the Australopithecus africanus, an early ancestor of modern humans, this discovery made the theory that humankind originated in Africa more acceptable. 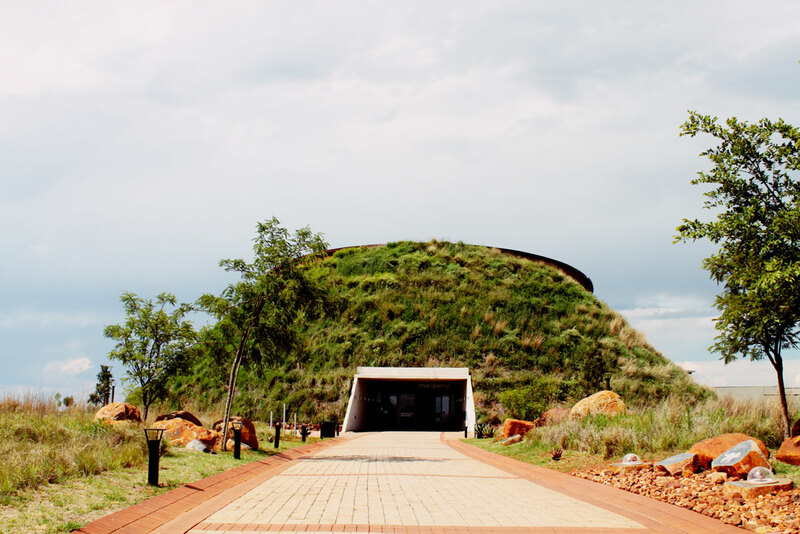 Take a tour through the Sterkfontein caves where the skull was found and visit Maropeng, an award-winning exhibition center that takes tourists through time to explore the origin of modern humans. The hands-on activities of the exhibition are especially popular with the younger crowd. 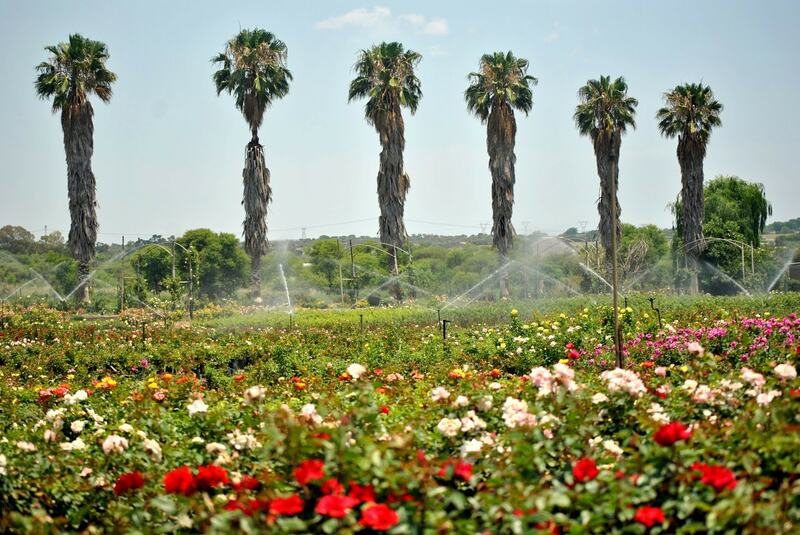 Less than 30 minutes away, Ludwig’s Roses is located on a rose farm where visitors can peruse and purchase an astounding variety of rose breeds surrounded by the scent of beautiful flowers and the buzzing of busy bees. Wander through the nursery or stop for lunch at the onsite restaurant. Try some of the rose-flavored cake or make prior arrangements and enjoy a wonderful picnic lunch in the farm atmosphere. 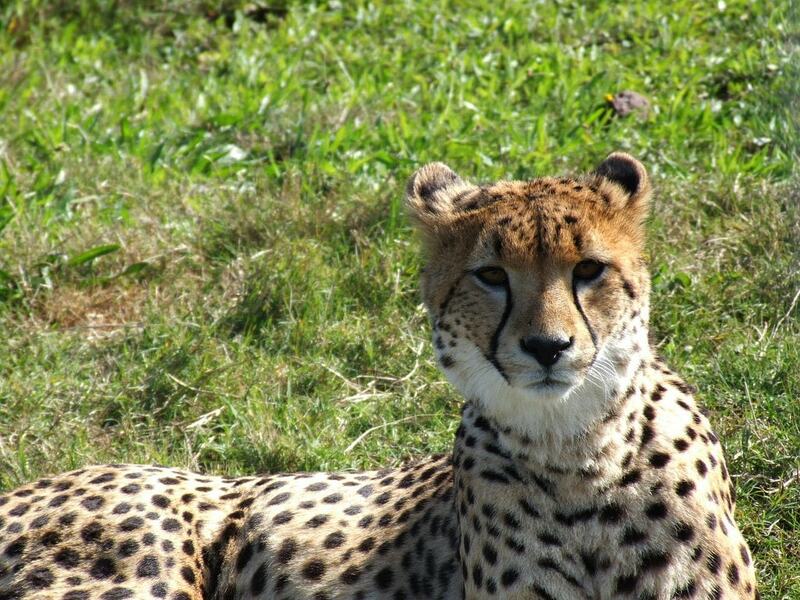 Established in 1971 as a cheetah conservation project, the Ann van Dyk Cheetah Center is a non-profit breeding sanctuary for cheetahs and other endangered animals. Over the years, it has managed to breed roughly 600 cheetahs, which is astounding considering the fact that there were only 700 of these magnificent wild cats left in South Africa when the program started. Visitors can take a tour through the center to learn more about cheetahs and witness their high-speed exercises. It’s less than an hour’s drive from Pretoria. 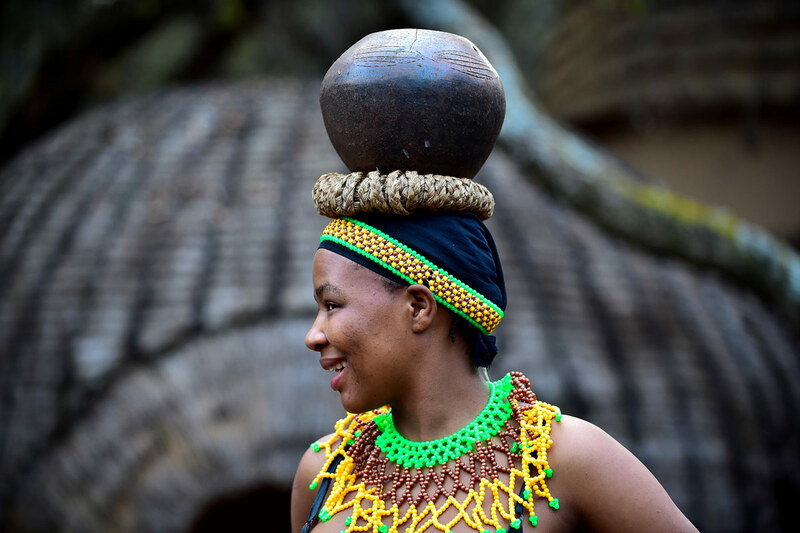 Lesedi Cultural Village, under an hour’s drive from Pretoria, is an authentic African experience where visitors can visit the traditional homesteads of Zulu, Xhosa, Pedi, Ndebele, and Basotho people. These are real people (not actors in costume) who still live according to the tribal folklore and traditions of their ancestors. Enter their homes for a true taste of African hospitality, to hear their stories, and learn more about their individual cultures.